Springboard America Survey Panel Review: Legit or Scam? Springboard America is a global market company under the subsidiary of Vision Critical. 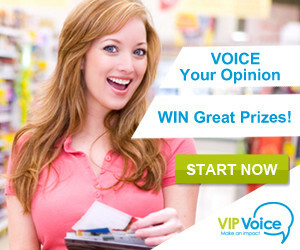 This survey panel claims to pay members for taking online surveys and sharing your opinion. While I am a member of several survey panels like Survey Savvy and CashCrate, this is actually one I've never tried. Today I decided to become a member along with doing some additional research, so I could share with you what I've discovered. Signing up with Springboard America is completely free and only takes a few minutes. Once your account is setup, you are immediately able to receive survey invites. Is Springboard Survey Panel Legit or a Scam? Yes. Springboard America is a reputable company that's been around for over 10 years operating under Vision Critical. All participants must be at least 14 years old residing in the United Sates (Unfortunately they don't accept members from other popular areas like Canada, United Kingdom, or Australia). In addition, Springboard is a great option for teens looking to earn money taking online surveys. How Do Members Make Money with Springboard? Let's state the obvious, you make money by taking online surveys and participating in market research studies. For those interested in doing market research for Springboard America, you must know these surveys take a longer time before you'll receive money. In addition, each survey invite expires within a certain period of time. So make sure you play close attention to your email, so you don't miss out on any survey taking opportunities. How Much Does Springboard America Pay? First I must say, Springboard is one of the few legitimate survey panels that still pays in cash. All members earn anywhere between $0.50 cents up to $5.00 per completed survey. You can expect to receive 1 -4 survey invites every month. 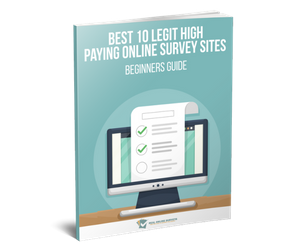 and you can typically expect to receive 1 – 4 survey invitations every month. Please note: All members must complete at least 1 survey every 3 months to stay active. Which Payment Methods are Available at Springboard America? All members at Springboard America will have the option to get paid in cash via paypal, check, and also donate to a charitable organization. The downside is that there is a payout minimum of $50 required to cashout. To be honest, if you are looking to make quick and easy cash online, this may not be best option for you. Anyone familiar with the market research industry, knows that $50 can take a long time to reach. It is a great chance that most people including myself. may quit the site before reaching payout. 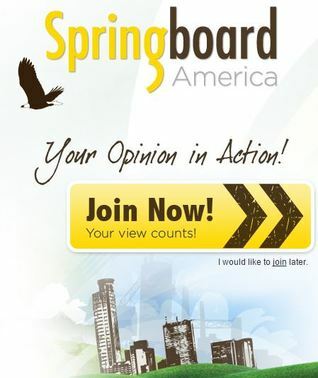 How To Sign Up with Springboard America? For those interested in joining Springboard America,visit their official site here. Looking for more survey-taking opportunities, check out my free paid survey directory.